In the 19th century, Nikola Tesla’s alternating current (AC) caused ripples in the way power was transmitted. What distinguished AC - much to the chagrin of his employer and the inventor of direct current, Thomas Edison - was its ability to travel large distances and change voltage and direction. Today, Tesla’s ingenious invention has paved way for technology such as substations and transformers, that make it possible for us to run everything from home appliances to railway networks. What it also helped create is a flexible source of electricity that gave its operators more control and choice. The future of the data center industry hinges on this flexibility, too. Data centers - a network of computer servers that remotely store, process and distribute information- have become indispensable in today’s digital world. The first image of a data center that comes to mind is a large building that houses rows upon rows of servers, emanating a familiar hum as they send and receive millions of bytes of data every second. However, the advent of technologies such as the Industrial Internet of Things, deep learning and cloud computing changed the way data is stored, processed and retrieved. Data center infrastructure needs to be more elastic by expanding and contracting with demand or technology that can be quickly scalable. They need to have complete visibility of the operation to ensure that energy efficiency and uptime are at their maximum levels and connect with intelligent grids to give operators more control. Like most technologies, data centers have also kept with Moore’s Law of being able to store larger amounts of data on smaller devices. Micro-modular systems, such as the Secure Edge Data Center developed by ABB, Hewlett Packard Enterprises and Rittal, which was unveiled at the Hannover Messe trade show in April, is a breakthrough in secure and scalable data center technology. The SEDC blurs the line between data centers and IT capacity as they can be installed near industrial facilities within twelve weeks. 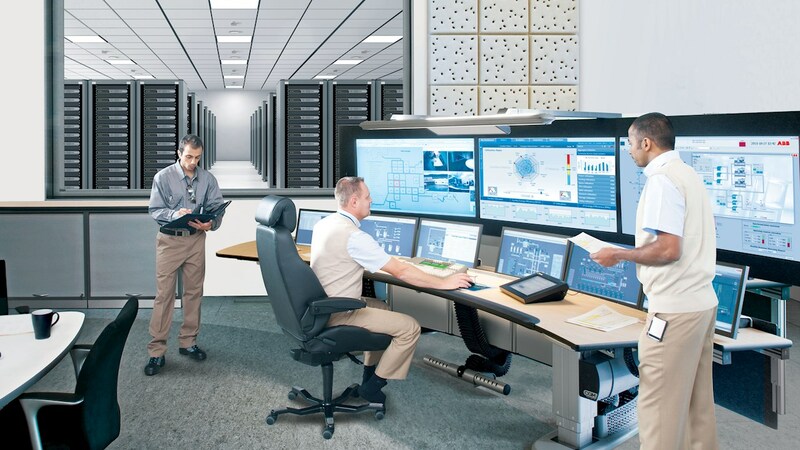 Enabled with ABB AbilityTM Data Center Automation, SEDC also gives management more choices through remote control and monitoring, organizes data automatically and self-diagnoses to minimize latency. Often called the heart of the Internet, the value of a data center lies in its availability, and a host of supporting technologies such as heating, ventilation and air condition systems (HVAC) and data center infrastructure management software, which help increase their efficiency. One such technology is the ABB’s TruONE automatic transfer switch (ATS), which is the world’s first true ATS to package all necessary sensors and controllers into a single, easy-to-install device. TruONE helps improve protection and makes installation 80 percent faster, ensuring that the least amount of time is wasted while switching between loads. The data storage industry is no more homogenous. Cloud-based data centers represent a faster rate of data delivery and improved performance, while renewable power sources are gaining traction globally. This rapidly evolving business needs equally robust and reliable grid connections, such as ABB’s smart grids and micro grids that work to reduce intermittency and thereby, downtime. Just as Tesla’s AC model has been a game changer in the power transmission universe, technological advances such as micro-modular and cloud-based data centers promise to transform the industry and ABB’s technology will help them get there.